Wedding photo, 5 inches by 7 inches. 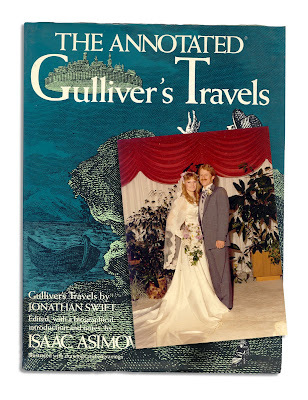 Found in "The Annotated Gulliver's Travels" by Jonathan Swift, edited by Isaac Asimov. Published by Potter, 1980.